Buyer beware: Medical waste brokers don’t actually dispose of your medical waste. Are you sure that the company you’ve hired to handle your medical waste actually disposes of your medical waste? 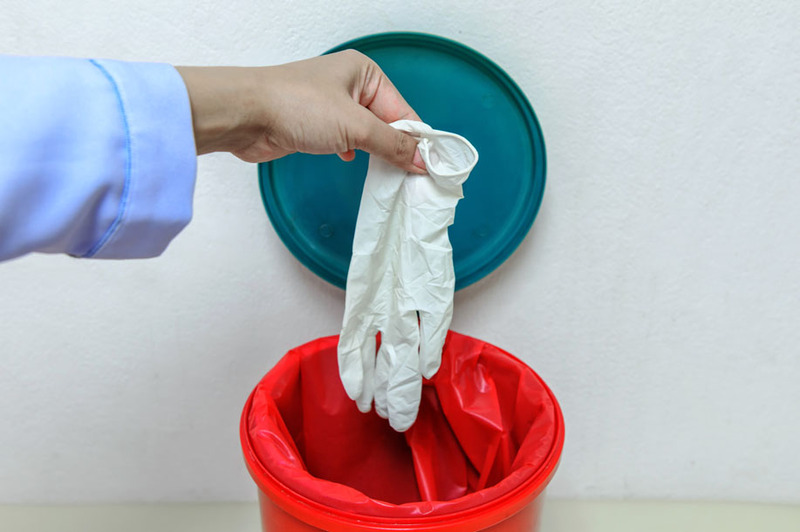 If you’ve contracted with a medical waste broker, then there’s a good chance that the company is in fact subcontracting the work out to other companies. Most waste management brokers don’t own trucks or equipment, they may not be familiar with state medical waste regulations, and they may not even be located or licensed in Arizona. Here are four reasons to think twice about working with a medical waste broker. When you work with a waste removal broker you might not know who’s disposing of your waste or how qualified they are. Is the company licensed to do the work? Medical waste regulations vary considerably from state to state, and if the broker isn’t licensed in Arizona, it may not know if the company it has subcontracted with is compliant or not. You also might not know if the subcontractor’s employees have been properly trained or if background checks have been conducted. And what about insurance? Does the subcontractor carry the right kind or have adequate coverage? If the medical waste broker is located in a different time zone, you could run into trouble getting in touch with staff or experience a delay in their response time. In the same way, the local subcontractor may not be in immediate contact with an out-of-state broker, which can slow work down considerably and cause further communication challenges. Most contracts with waste management brokers include a jurisdiction clause, which typically states that any disputes about the contract have to be handled in the county and state in which the broker is located. If you’re required to fly across the country to handle disputes, it can make it difficult to remedy conflicts. In most cases the prices are actually higher when you work with a medical waste broker. That’s because the broker must mark up the cost of the work in order to make a profit. If you’re considering contracting with a waste removal broker, ask the salesperson who owns the trucks and hires the workers who will be handling your waste. Are they permitted to do the work in Arizona? And ask for a certificate of insurance for the broker and the subcontractor. It’s up to you to perform due diligence on anyone you hire to handle your medical waste. If you don’t, you could be putting your business at risk for compliance or customer service problems that may be very difficult to resolve. Better yet, choose an Arizona-based and Arizona-licensed medical waste disposal company. US Bio-Clean provides safe, cost-effective medical waste disposal in Arizona. Our workers are certified hazardous materials specialists and receive ongoing training. Why Are Medical Waste Disposal Bags Red?